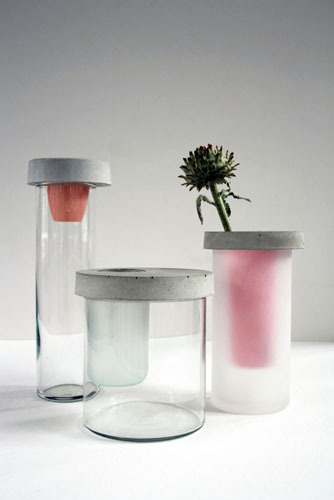 By reinterpreting collected old glass and plastic vessels using concrete, this collection of vases was created. 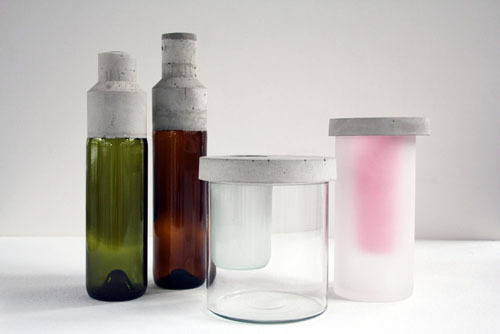 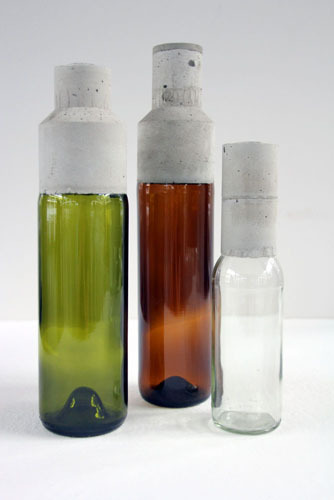 Waste glass, for example wine and beer bottles, glass jars, plastic cups and old vases are combined by using concrete to new forms and constellations. 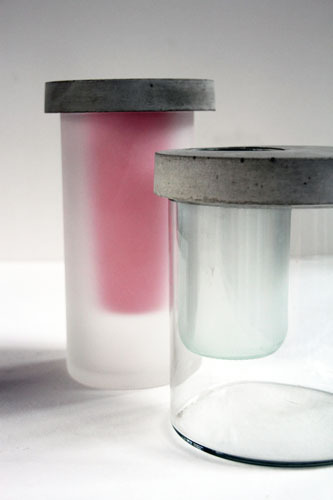 Thereby space in space, coverings and extensions of the vessels were created. 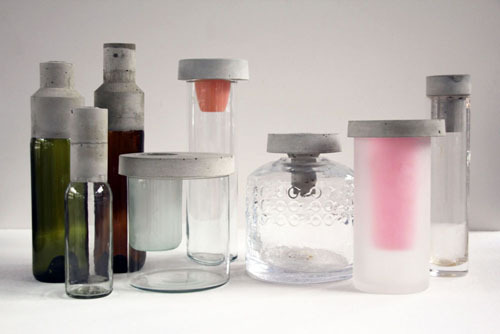 By these interventions, like the connection with concrete, detachable concrete lids with plastic cups inside or the sandblasting of single parts, the old objects transform to new and different vessels.